At Sutherlin Nissan Vero Beach in Vero Beach, FL, we understand that a compact sport utility vehicle (SUV) has a lot of the conventional SUV benefits without any of the drawbacks. 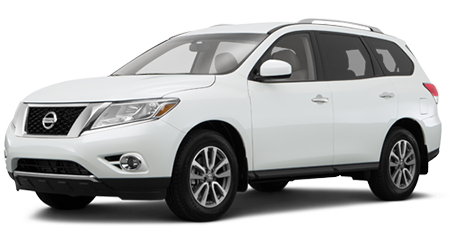 That’s why we’re proud to have a large inventory of the 2015 Nissan Pathfinder in stock for you to test drive. For 2015, the Pathfinder SL and Platinum trims get rear cross-traffic alert and a blind-spot warning system. The Pathfinder’s continuously variable transmission receives new programming that mimics conventional shifts. Within the midsize SUV segment, the Pathfinder remains an attractive option. Let’s see how the 2015 Nissan Pathfinder does against the Honda Pilot. The Pilot starts at $29,870 while the Pathfinder has a MSRP of $29,510. That’s a savings of $360. Not only does the Pathfinder save you money upfront, but it will also save you money over the duration of the vehicle’s lifespan. The Pathfinder’s 3.5-L V-6 gets 20/27 mpg (city/hwy), which is two mpg better than the Pilot’s 18/25 mpg (city/hwy). 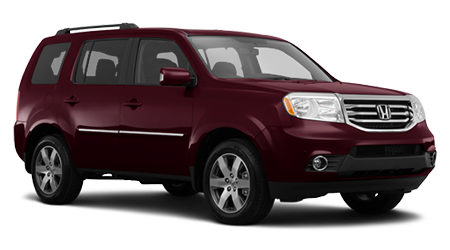 If you’re looking for a midsize SUV that will save you money, then the Pathfinder is the one for you. If you value having extra space for yourself and your passengers, then you’ll be impressed with the Pathfinder. The Pathfinder has an interior volume of 173.8 cu.ft. which is two cu.ft. more than the Pilot. Along with the overall space, the Pathfinder has more front headroom, front legroom and rear legroom than the Pilot, as well. The Pathfinder’s extra space makes it an easier SUV to use on a daily basis.